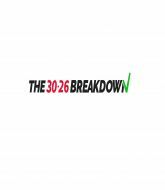 I'm Jon Lee and I do the 30-26 Breakdown videos featuring fight analysis, picks and jokes. So many jokes. Look forward to giving and getting picks on here.